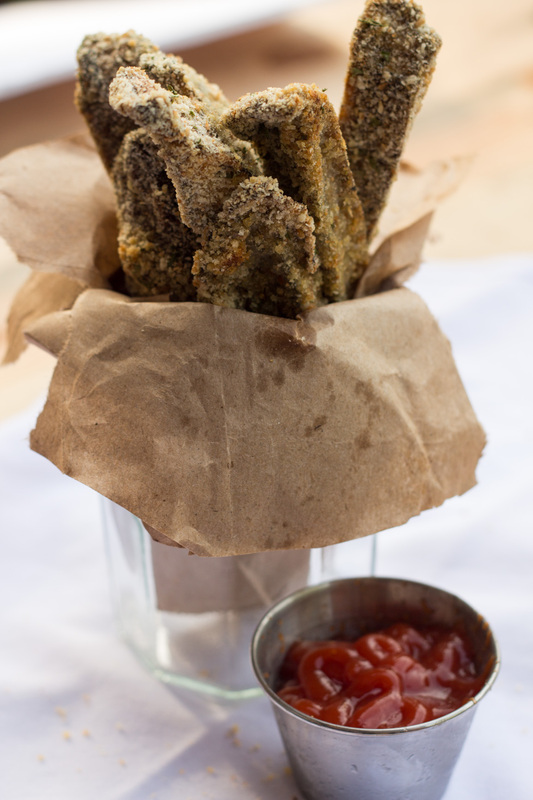 Like Portobello mushroom fries? You got it right! It’s baked so it’s healthier and it’s the perfect appetizer you need to make ASAP. Crunchy, soft inside, parmesan… Do I need to say more? I mean I don’t mean to brag but it’s too good to share. Seriously, I might have eaten most of it alone. Not even ashamed! Of course, appetizer is the first that came to my mind but it could perfectly be a side dish with a nice grilled meat. I dipped a few in ketchup because… I felt like it 🙂 but most of the fries were enjoyed just like this, alone. The time of baking is key because I made a few trial and if you leave it too long the mushroom will dry out inside and it’s not as good. You don’t want that! Of course, I am sure that you can fry it but I choose not to go there. 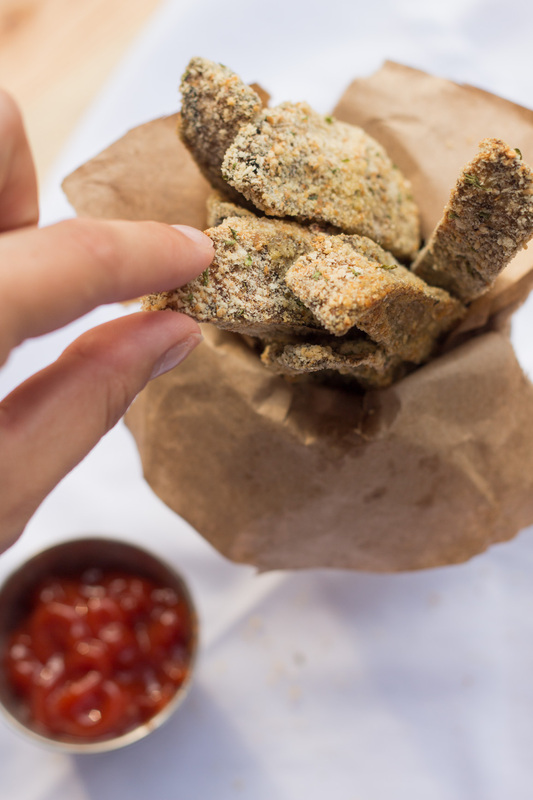 I try to minimize our deep fry consumption to none… But sometimes in restaurant, we break the rule. So any fries we do, we add a drizzle of olive oil and we bake them, it’s better for you and it still tastes amazing. I am a crazy for mushrooms, specially Portobello. In France, when I was little I used to go in the forest with my grandma to look for ceps (cèpes in French). I would drive her nuts because I couldn’t spot them. Now, when I smell and eat mushrooms, I think of her. She was my Mamie always cooking yummy stuff in the kitchen. What are you childhood-food souvenirs? 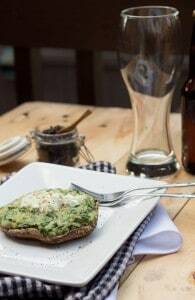 Do you want another Portobello mushroom recipe? I did an amazing creamy spinach and quinoa stuffed Portobello that is worth checking here! - In a small bowl, beat the egg and in another bowl; place the crumbs. - Take one mushroom stick, cover it with egg and then cover it with crumbs. - Bake 10-12 minutes in the oven at 350F. I did not put any salt in the recipe because the bread crumbs are already salty enough with the parmesan. As a huge fan of mushrooms (and fries!) these look tasty! I would see this kind of fries in a pub served while watching a hockey game. With beer on the side please! These look very interesting and delicious Melanie!!! 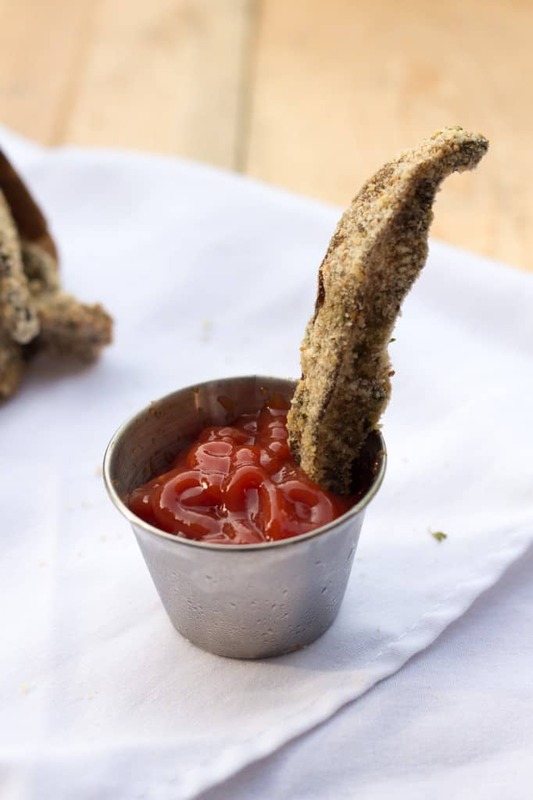 I have never heard of mushroom fries, were they crispy? Thank you Candice! It was crispy when I used olive oil. I did try a batch without the drizzle of olive oil and not as crispy. Snap, Melanie! I just posted a portobello mushroom recipe, too! They are so tasty! 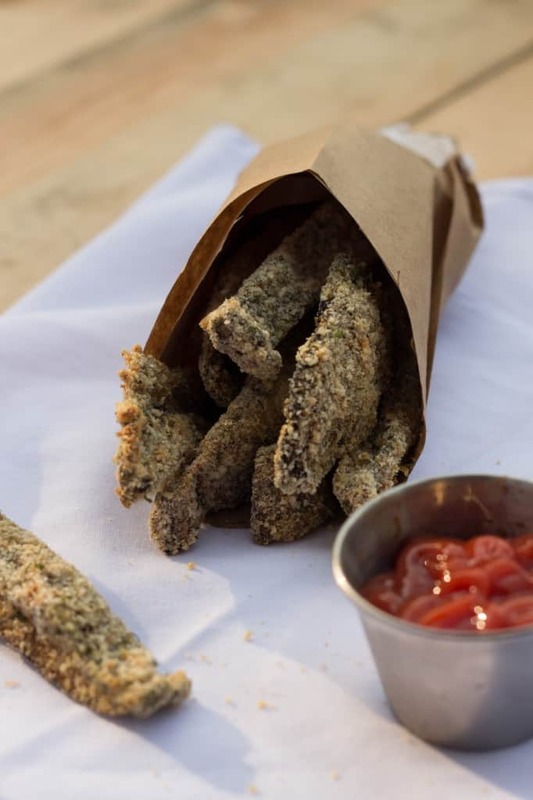 I would never have thought of making baked mushroom fries, but my, what a great idea! P.S. Do they stay crispy? That’s a first for me but that looks so good. Thanks for sharing! When I saw these on Instagram I wanted to reach directly into my phone and eat some ASAP. Sounds delicious! Never would have thought to make mushroom fries before! They look so crispy and delicious! I have to try out the recipe.. curious to know what they taste like. Thank you Thalia, if you like mushrooms, you will love it for sure! I love portobello mushrooms…never would have thought of turning them into fries! Great idea! mm..yum! mushroom fries! I’m so drawn to all the mushroom recipes today! What a great idea! And so easy to make! Thanks for sharing! Those fries look delicious! Love that bread crumb coating. Makes them look super crispy and flavourful!